When you have a lot of AGS games, creating shortcuts for all of them is a pain. Not any more. 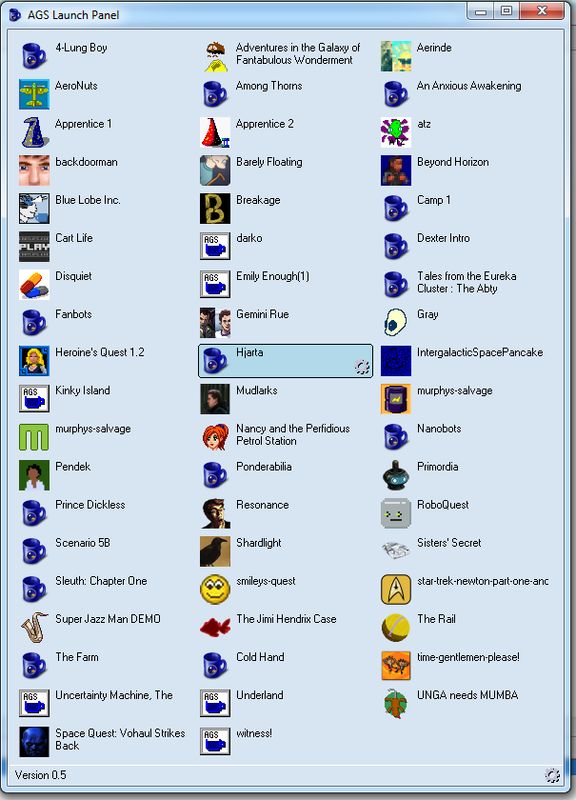 Add the parent folder of your AGS games to the launch panel, and it will provide you with shortcuts to each one. There are still a few things I want to add to this before I consider it a v1.0, like threaded scanning and hooking into the USN journal so that it automatically detects new games added, but at the moment it should be able to do what it was designed for.